I took a little trip to Hipster Town, USA. Remember me? It's been awhile, I know. But, sometimes a person has to take a little vacay from work, home, and computers. My mom and I just returned from a semi-impromptu trip to Portland. Why? Mostly because we felt like it. 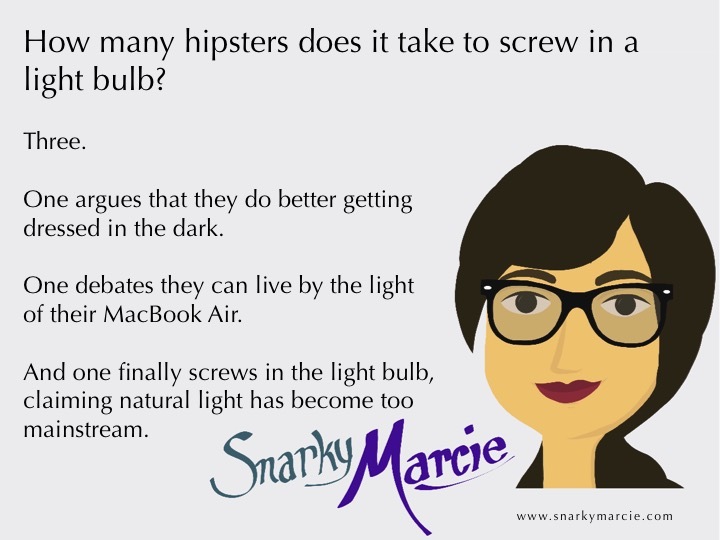 And, here is what I learned while in hipster-ville. 5. Portland is the place to find writers. The initial draw to Portland, for me, happened several months ago when I decided to change my unnamed style into that of a hipster. For awhile, it went a little overboard, but it was fun. I cut myself some bangs, bought a selection of wayfarer glasses regardless of my decent eyesight, and started purposefully selecting clothes that could pass as 'hobo-chic'. No offense to hobos or hipsters, it is just the style that Pinterest recommended for a true hipster. The newfound commitment to a life of a hipster, in which you go against anything mainstream unless it is ironic (Starbucks, Apple, etc), also helped me fall back into my passion for writing. Hence the blog you are reading. While continuing my search for inspiration and guidance in the wild world of writing, I happened upon a conference that takes place each year in Portland. It is the Willamette Writer's Conference, and it's pretty legit. I signed up, asked my mom to join, and hey...it turned out to be worth it. The time I spent at the conference gave me some tools to use in my writing, and helped me to start a network and library to assist. Specifically, the conference and Portland inspired me to dive into the genre of memoir. More to come on that later. 4. Portland is the place to find roses. No, Portland is not where the Tournament of Roses, Rose Bowl, and Rose Parade reside. Those take place in Pasadena, California (trust me, I just Googled it). But, apparently Portland is known as the City of Roses, and houses the International Rose Test Garden. Looking for about a million different kinds of roses? Go to Portland. Just don't forget to wear your hiking shoes to get there. #Whew. 3. Portland is the place to find good food. If the Greek, Thai, Chinese, and food fusion aren't enough to attract you, check out the Byways Cafe. It's this hole-in-the-wall cafe that was featured on Diners, Drive-ins, and Dives, and it is awesome. They know how to make breakfast food and coffee, which are two of my main loves. Seriously, don't go to Portland without eating there. And, get there early because the regulars and the tourists who don't come from the east coast and get up at awful hours, will fill the place in a hurry. #GetItWhileItsHot. 2. Portland is the place to find books and coffee. Have you heard of Powells City of Books? Well, get out from under that rock and look it up. It is a bookstore the size of a city block. It is the world's largest new and used bookstore. You need a map to find your way around, or else you find yourself in the cooking section looking at 16 different books for making eggs. But, it's a pretty awesome place to get lost in. #LeaveMeAloneIAmReading. And coffee, mmm, coffee. Just a block down from our Airbnb, there was an awesome coffee slash bakery. Not only could they do a wonderful vanilla latte, they had some amazing breakfast pastries. Lattes for days, my friends. Lattes for days. 1. Portland is the place to find walkable urbanism. This was the hardest thing for me to get used to. Sure, I knew that Portland was known for being walkable and biker-friendly, but I didn't fully appreciate. Several times a day, we would come to an intersection and vehicles would stop to let us cross. The driver's didn't have stop signs, or even yield signs, they just had what I came to understand as manners. Drivers are kind in Portland. Only twice in the city did I hear horns honking, and it was only when one driver would signal to another that they could go first. #DropTheMic. #ThatIsAwesome. Normally, I prefer to staycation. It is awesome to get out and have adventures, but they are rarely relaxing and recharging. Portland is the exception. Just a guess, but judging by your attitude, I'd say it's time for you to take a vacation.